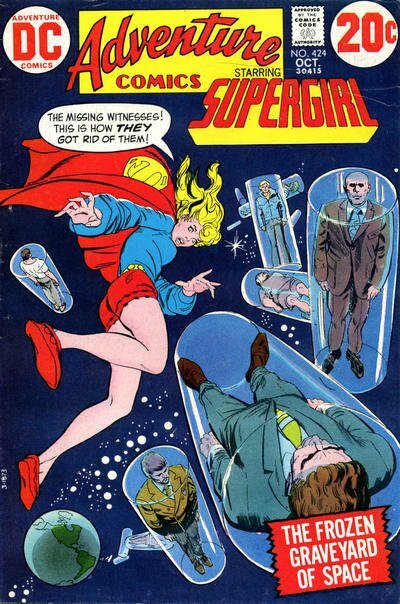 Click Here To See Adventure Comics #424 Comic Book! 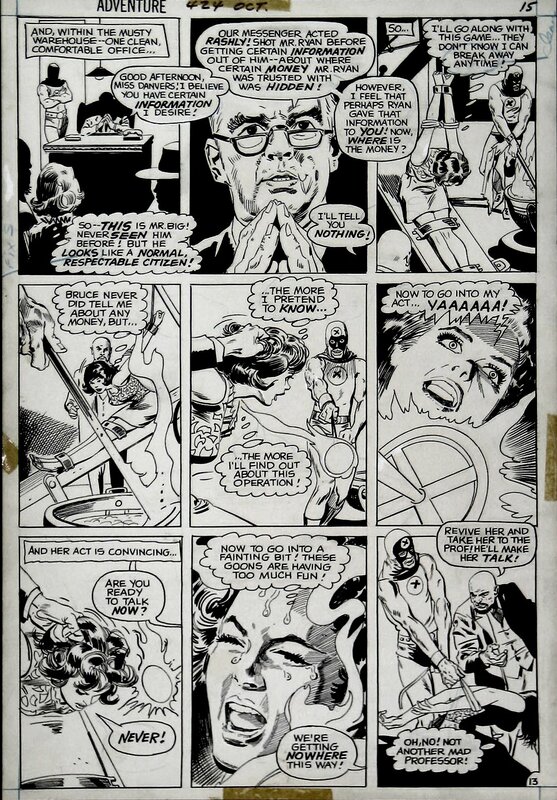 Not very often will you see such brutal TORCHER on a comic book page other than this 1972 Adventure comics page drawn by Tony DeZuniga, and inked by Bob Oksner, where Linda Lee Danvers, (secretly Supergirl) is subjected to a brutal and very detailed torture session! It is surprising that this page was able to slip by the scrutiny of the Comics Code Authority, but we can guess the fact that Kara is actually invulnerable to the abuse might have had a bearing on it passing the code! ALL art on our website (including this one) are able to be purchased with VERY fair time payments, and trades are always considered towards "ANY" art on our website! Just send us an email to mikeburkey@aol.com and we can try to work something out.